With a generous 29 cu. ft. capacity, this LG three-door refrigerator not only has the features to help keep your food fresh, it’s got the room to store it all. Additionally, LG’s Door-in-Door design keeps all your favorites at your fingertips while reducing cold air loss to help keep foods fresher longer. The Smart Cooling System is designed to maintain superior humidity and temperature levels, and a Fresh Air Filter helps keep the air around your food from getting stale. 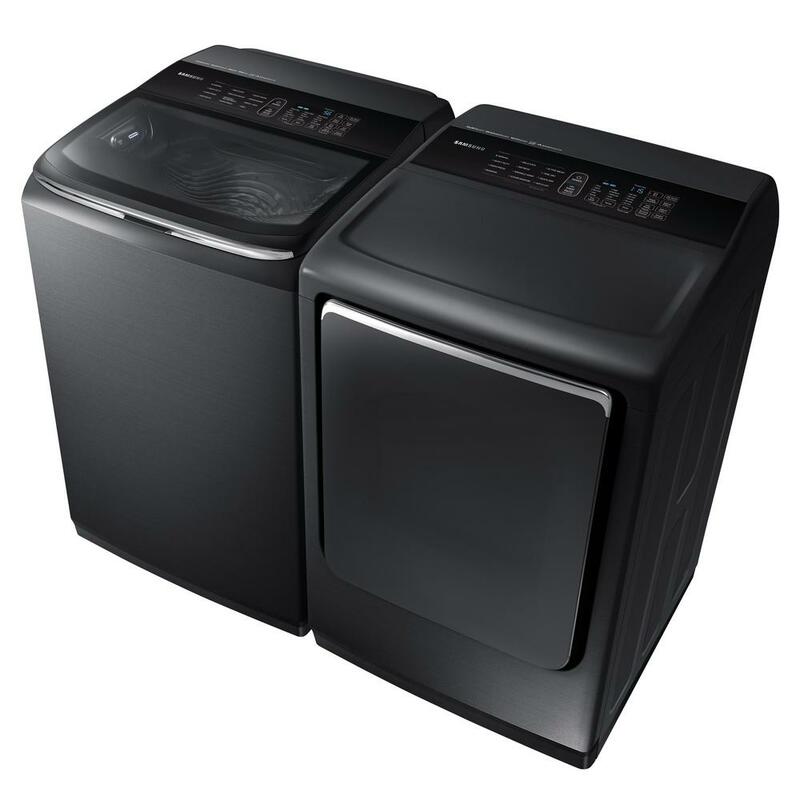 Its dual ice maker will ensure that you have extra ice on hand for those hot summer days or when entertaining at home. Angels Fly Out Singing When You Open the Doors! This refrigerator is PERFECT! Where do I begin: Stainless steel is shining and beautiful! The door within the door is an amazing concept and my husband and I use this all the time for the things we reach for often like water, milk, a cold beer! The LED lighting is outstanding, shelves are movable with plenty of room and options, drawers are great sized and very attractive. 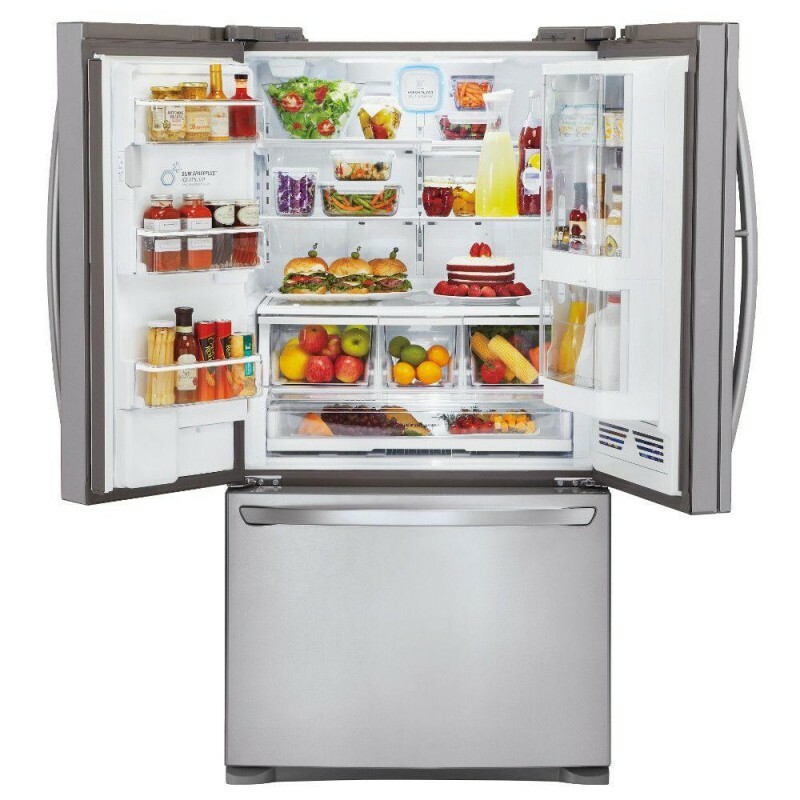 Sheer genius on the part of LG to hide the ice maker in the left side door so as not to take up space in the refrigerator--LOVE that feature!! You can lock the control panel on the front of the left door so that grand-kids can't change settings .Dual ice maker is wonderful and freezer is deep and has plenty of storage space. Appliance runs very quiet--SO HAPPY! I have told all of my friends and colleagues about this purchase! This refrigerator is amazing! 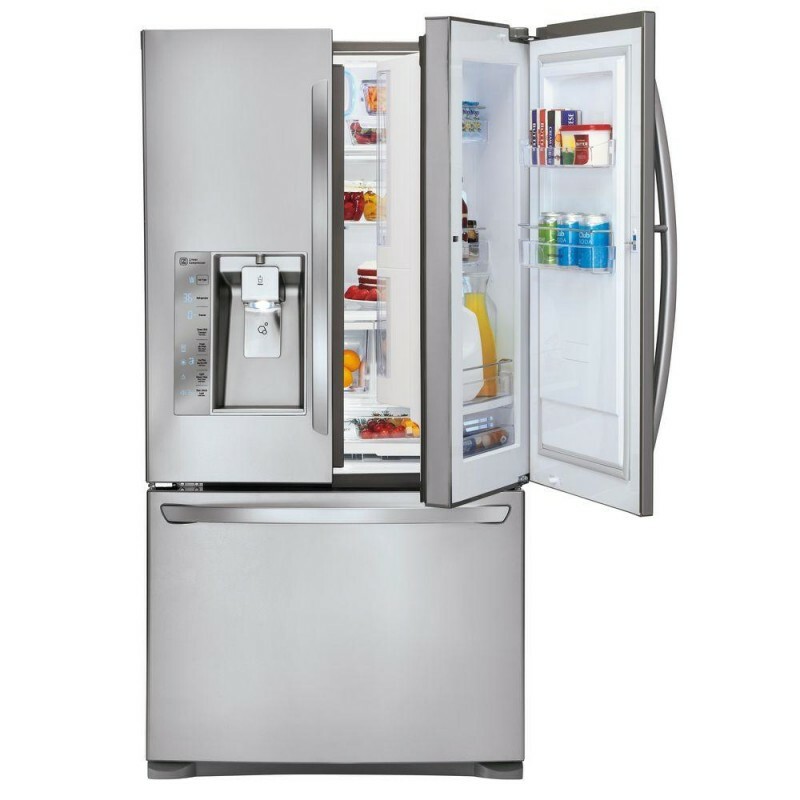 We absolutely love our new LG french door refrigerator with two ice makers. 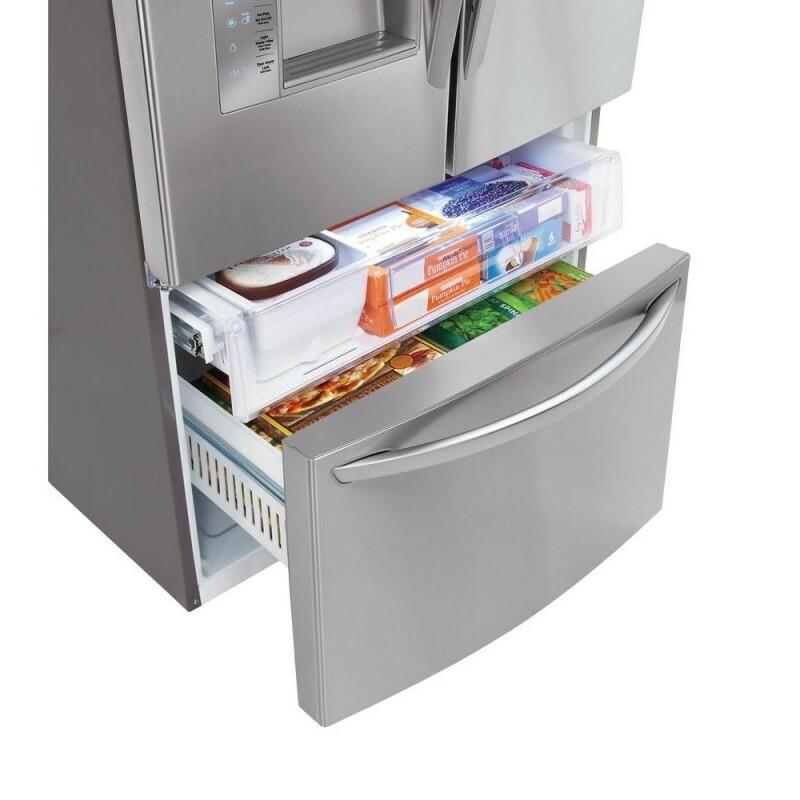 After reviewing every refrigerator on the market, and finding consistent problems with leaky ice makers housed in the refrigerator compartments, we specifically chose one with an icemaker in both the door of the refrigerator and one in the freezer compartment. For daily use we keep the door ice maker off and empty. The one in the freezer makes a ton if ice! But when expecting a crowd or overnight guests, we can easily turn the extra icemaker on and be prepared. Love everything about this fridge. Easy to get to milk and cream and butter etc. while preserving the cold inside. I worried that the door shelves were too small, but after re-evaluating all I was stuffing into my old really big shelves, I like the tidy smaller shelves. There is so much room otherwise, you won't even miss them. Though the door finish is not "smudge proof" we aren't finding a lot of fingerprints, and they wipe away easily. Very Happy shopper. Best Fridge Ever After 9 years with our Whirlpool which was a great fridge, we realized we had just outgrown it. This amazing french-door model was the answer. The inside is massive. The shelves, although glass, are sturdy and don't feel like they'll bend or crack. The one that rolls back is handy for taller items. You can put a whole pizza in it and it fits. (That's my kids' favorite feature) The ice maker is great -- makes plenty of ice BUT when you first get it, expect about the first 4 weeks to have the ice smell and taste like the new plastic water hose. It's not bad or dangerous, but it does taste a bit funny. Once the hose has "broken in" the ice tastes fine. The second ice bin in the freezer portion is great! You won't run out of ice at family gatherings. The ice and water dispenser on the front work great. The freezer is roomy -- I love that I can see everything in my freezer -- a huge benefit so food doesn't go to waste due to freezer burn because it's buried under something. And the sliding drawer above the main freezer is perfect for stuff you use every day. Besides the extra ice bucket, I find it's a great place for all the frozen breakfast foods for busy school mornings. But I've saved our favorite feature for last... the Cold Saver "door in a door" feature is fabulous. It lets you access drinks like milk, sodas, tea, etc without opening the whole fridge. 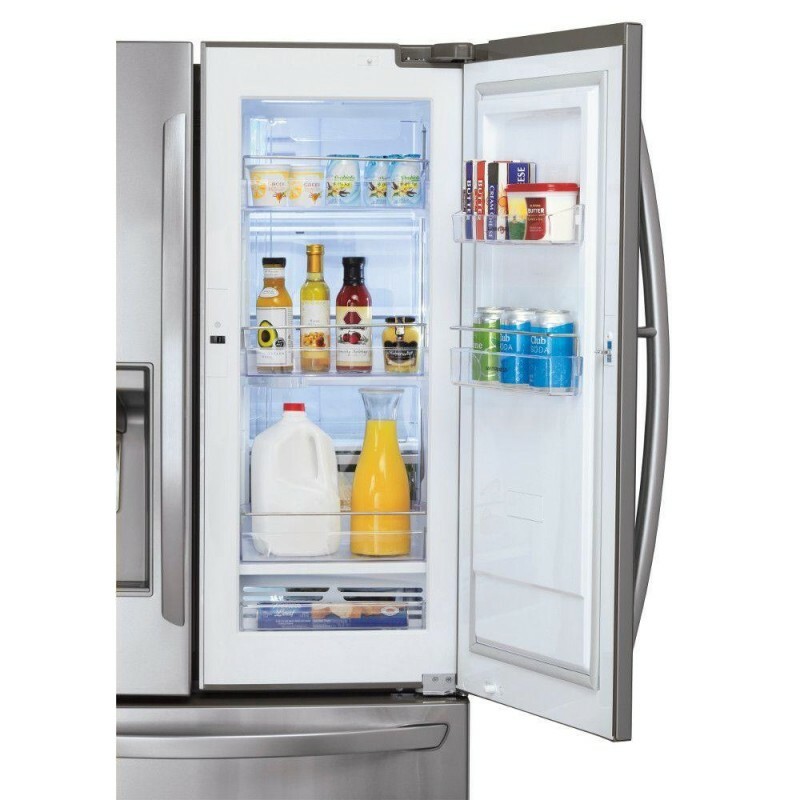 But if you open the fridge, that area is easily accessed from the back side of the door. Soooo much less time with the door standing open while the kids figure out what they want to drink. The fridge is quiet too, I never even hear when the ice maker makes ice. So far we are loving this!! 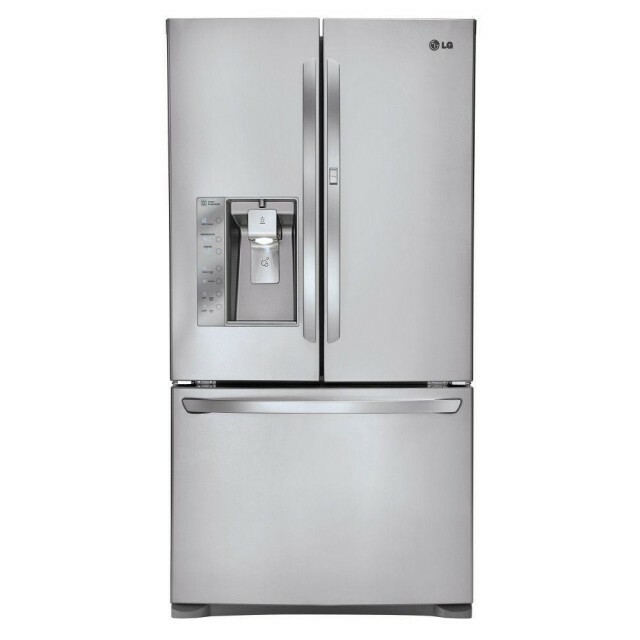 Overall a good Refridgerator I researched for about 6 months. My old refridgerator was a Samsung that had gotten to the point I had to thaw the ice maker section every Sunday. This refridgerator is the ONLY one I found that had very little bad reviews for the ice maker. So far, we have had this about a month and are very happy with it. There are two things that keep this from being a 5 star for me personally. First you have to open both doors to pull out the drawer where we keep sandwich meats and things of this type. The other is the water dispenser. It does not come out at the same area as the ice. It is in front and although works nicely. It has no light to light up the area when filling early in the morning or late at night. Now this may sound trival, but needing to turn on the lights to put water in your glass to make sure you dont spill it, is a bit odd. Other than those two issues this is a great refridgerator. Oh by the way, this one has 2 ice makers!! The one in the freezer section works great as well. It is a bit slow as it took close to a week and a half to fill the tray. (large one though). Over all we are VERY happy with our choice. In-love, when I discovered 3 options for ice! This is my first LG appliance. It has not disappointed me...I have enjoyed having this new addiction in my kitchen! My last refrigerator was a GE side-by-side. It was over 15 years old and a component in the freezer kept overheating--thus causing the freezer to defrost. I replaced it a couple of times until my financial situation improved! I enjoy having this French door model. Will probably never buy another side-by-side. I purchased this appliance in March 2016 and had one small issue with the gasket around the freezer door. While under warranty, they did replace and suggested I "completely" pull out the drawer--which I wasn't doing because I didn't have enough clearance. I move some things around in my kitchen and the seal os working beautifully! LG's customer service dept is A+! Oh, did I mention---THREE options for ice???...Yep!...I. An ice person and love having choices! Thank you Also, warn your guests how to use the dispenser, so they don't make a mess on your floor.